The mold tests sent out last week for 102 Greenwich came back and four of the rooms results tested positive for mold, leaving the affected students to follow required procedural steps amidst their regular class schedule. “The underlying issue is elevated levels of moisture in the building. 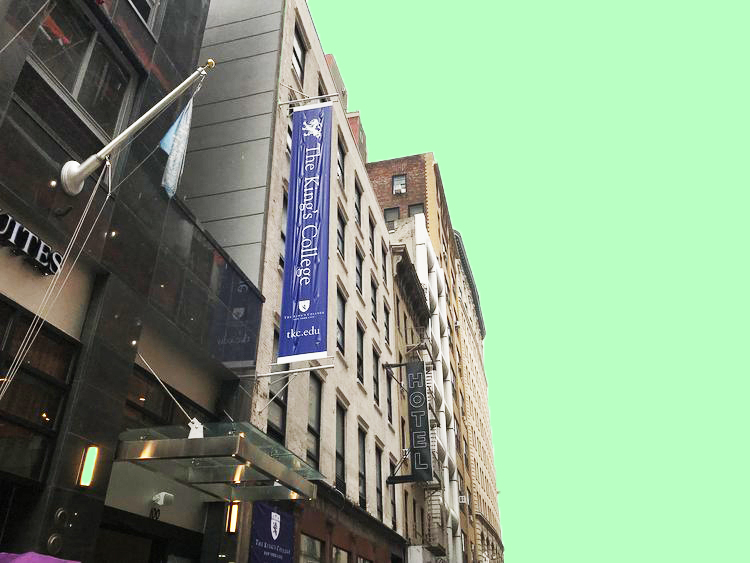 Contractors are examining two locations where water may be seeping into the building—an area of the roof and an area in the courtyard,” said Michelle Lambdin, FiDi Housing Director in an email sent out on Wednesday, September 26. “Relocate Residents Immediately: We are temporarily moving the six students out of the affected apartments to other apartments. We have enough open beds to temporarily accommodate these six students in Greenwich and West. The students have already been notified about which rooms they are moving to. Additional Testing: As a precaution, we will test the rooms that are adjacent to the affected rooms. At the moment, there is no indication of mold in those units, but we want to have those units tested to be sure. Repair Leaks: Because the root problem is moisture, repairing the sections in question is a top priority. The school recognizes the burden laid on the students with their regular coursework alongside moving out of their rooms and into an entirely new building. The timing has fallen on parent’s weekend and some parents are stepping in to get involved. “Eric Bennett organized a meeting for the parents of Greenwich students to talk about the issues going on in the new apartments. It is at 11 a.m. on Saturday and parents are invited to come and we are going to talk about the mold.” said Marsi Richardson, mother of a freshman at 102 Greenwich. The concern spreads to the students who have to put their belongings in storage and live out of their suitcases for the next few upcoming weeks. Richardson’s daughter, Jolie, was told to pack up all her things and be ready to move out last Wednesday after packing up her room. She received another email saying she could not move out until the next Monday. “Our apartment is packed up, we have no way to make food, we are living out of suitcases, and our stuff is not being moved anywhere until Monday.” Jolie said. The school is now in communication with their students about the complications of on-campus housing and King’s administration is determined to resolve these issues in order to create a safe living space for the students. “When I am home, I want a safe living environment, and I want to relax and destress from all the work I am doing. I hope Greenwich can be this for me, but the situation does not allow it,” Jolie added. The school reassures that the process of remedying these issues will only take two weeks but for students that time length is daunting.